After months of campaigning, shouting, blood, sweat, and tears being spilt this morning you can look out the window with pride as you gaze upon your own marvellous D.I.Y disaster, listening to the silence as your house drops in value. The best thing is that is that it was all self imposed, no assistance necessary from evil corporations or a corrupt status quo. Take note of the heavy sarcasm. This article aims to outline some of the consequences triggered by the leave campaign victory during market reactions in the morning after the referendum. Losing a triple A rating is a reflection of a loss of confidence in the UK’s financial stability, meaning that loans to the UK will be tougher to achieve and more stringent conditions will be put on future loans. This will likely put a strain on fiscal spending and future investments as higher interest rates will probably be imposed. Out of the frying pan and into the fire. The UK was only just seeing the tail end of The Great Recession with lacklustre growth and now it looks like the UK is set for another dip. While inequality and lack of economic security for the common individual were key sets of concern pre-referendum these will likely be worsened by the plunge into financial uncertainty and lack of market confidence. A decrease in market activity and investment will impact larger multinationals first before their lack of activity starts to hit local areas. A drop in Sterling and the FTSE reflects the lack of security and business confidence now held by business and investors. As the point above discusses this will likely trigger another recession. Compounding this will be Britain’s struggle to import goods owing to Sterling losing value, this is not a particularly pleasing outcome since Britain imports a great deal more than it exports. Granted with time British exports should become more attractive but the instant hit to the currency should have a substantial effect on businesses. London’s multinational businesses are now reconsidering their presence in the United Kingdom leading to their reshuffling of resources and staff; a great number of jobs likely heading to Europe with Belfast and Frankfurt looking like attractive venues for business. Less activity in London will naturally hit graduates, as the number of possible opportunities shrink and the level of competition remains the same. Less economic activity means fewer workers, fewer workers means less demand for housing in a given area, less demand means prices fall. On the bright side rent might be more affordable in London. The United Kingdom may not remain united for very long with Scotland’s future on the table again as their decision to stay in the UK was contingent on staying in the EU. Scotland leaving will likely rub salt in recently received wounds, causing a greater drop in business confidence and economic activity because of a lack of unity. Unfortunately like most bad decisions from the night before there is no easy solution to the problems caused by voting to leave the European Union. In the long term our future is uncertain and the immediate future is grim with a great deal of pain in the horizon. Our prospects may look up eventually, we do not know when, but we will recover. 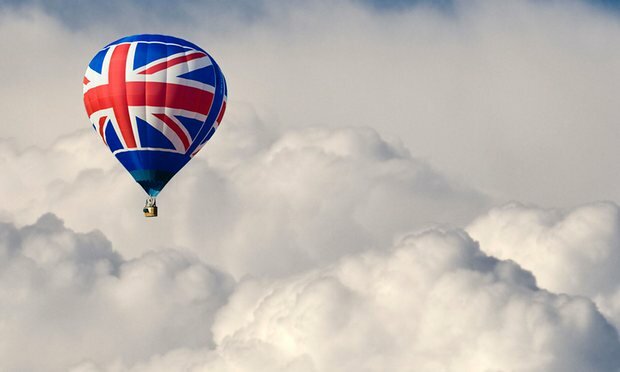 ‹ Rising global popularity for regionalism: why is the UK thinking about drifting away? › Brexit: a chance to revive the Commonwealth?